Good news for Ubuntu/Linux Mint users of Invisible Internet! You can now install i2pd very easily from PPA repository created by community member R4SAS. That's it. When new version of i2pd will be available, you'll recieve updates via package manager. If you'll ever experience problems with connecting to I2P network, your Internet Service Provider may be blocking access to I2P bootstrap servers. It is not a big deal if you have access to GitHub. 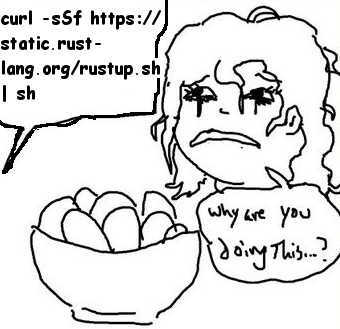 and you will bootstrap to I2P network from GitHub. A darknet (or dark net) is an overlay network that can only be accessed with specific software, configurations, or authorization, often using non-standard communications protocols and ports. Well known example of the darknet is the Onionland -- public darknet created with Tor software. This article will show you how to create your own darknet with Invisible Internet Protocol (I2P) for fun and profit. Unlike the Onionland, it will be fully distributed and suitable for any type of private and anonymous communications. You can run your own network to study how anonymous networks work, find their weaknesses and performance improvement possibilities. Regardless of the obvious security concerns, many projects feel the need to tell users to execute arbitrary scripts transmitted over plaintext. Is there a workarround for these people? I believe there is now: just pipe it through gpg. But wait, that won't actually work. This command SHOULD fail if the signature is invalid but it doesn't. Centralized commercial IM providers are a real threat to our privacy. They often require users to run proprietary software, confirm their identity with SMS and give away control over their data. We always have a freedom to take control back over our private communications. In this tutorial, we will use XMPP as decentralized and open-source instant messaging system, OTR for end-to-end encryption and I2P network to anonymize our network activities. If you don't have I2P client already, go to i2pd.website, install and run it. Make sure your client supports OTR encryption. In this tutorial we will use psi+. Windows users can find downloads here. Quick update: For those who don't know, i2p.rocks has a federated jabber server with open registration (for now) and is available on i2p, via ynkz7ebfkllljitiodcq52pa7fgqziomz4wa7tv4qiqldghpx4uq.b32.i2p:5222 (the port is important). With i2lua you can add custom logic to your Invisible Internet router by writing scripts in Lua. Lua is a full-featured programming language, which means you can resolve complex issues with it.